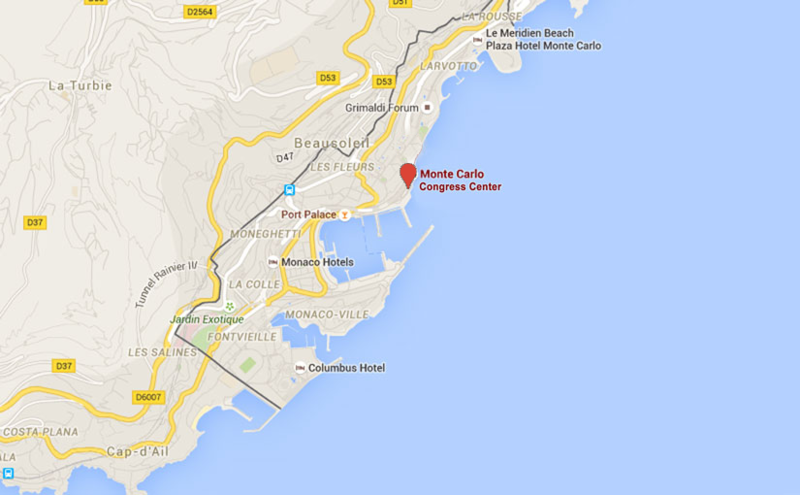 Take the A8 motorway in the direction Monaco – Vintimille, then take exit no. 56 Roquebrune – Monaco. Head through a long tunnel in the direction Cap d’Ail then into Monaco. Follow the signs for the harbor/port of Monaco. Driving up towards the square, you will find on your left hand side at 12, Avenue des Spélugues. From the A10 motorway Genoa – Ventimiglia continue on the A8 motorway in the direction of Monaco – Nice. Take exit no. 58 Roquebrune – Monaco, drive down following the signs for the Principality through Beausoleil (a little town bordering Monaco). Follow the signs for Casino square. Driving down towards the sea, on your right hand side at 12, Avenue des Spélugues.